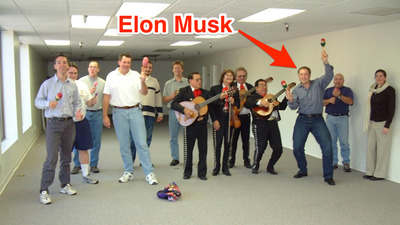 Elon Musk/SpaceX; Business InsiderElon Musk and the founding staff of SpaceX celebrate their first office space with a mariachi band in 2002. 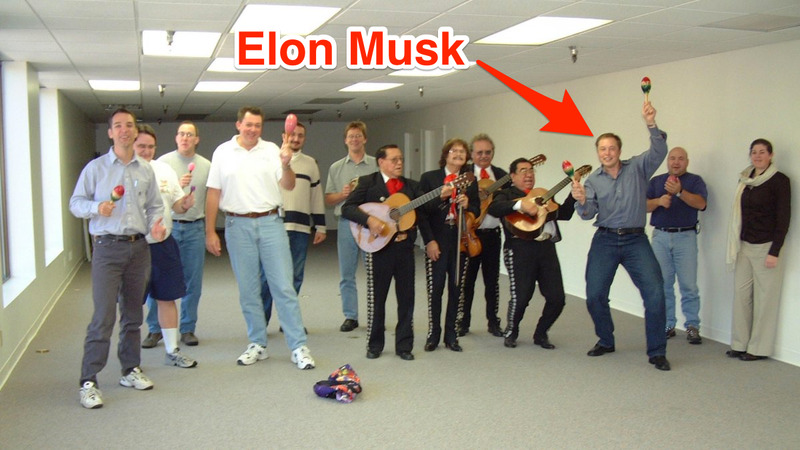 Elon Musk founded SpaceX in 2002 with little more than a handful of staff, an empty office in Los Angeles, and a mariachi band. 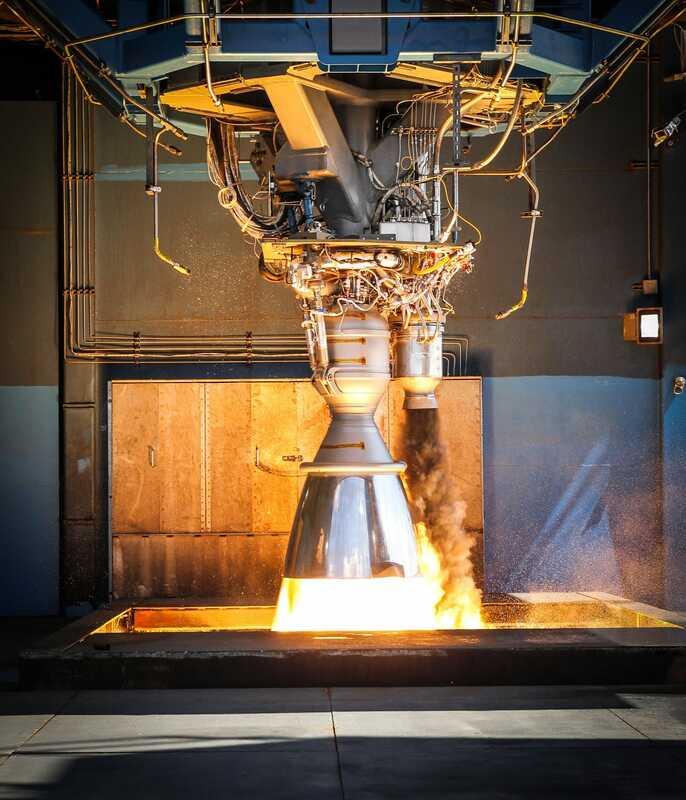 Today the rocket company employs more than 5,000 people, has received about $US1.6 billion in funding, and is increasingly disrupting a storied (and expensive) space industry. SpaceX has branched out from relatively small orbital rockets to heavyweight lifters that undercut the competition four-fold. It’s also developing the most expansive satellite internet network in history while pushing to build spaceships capable of sending 100 people to Mars at a time. To get that work done, though, it’s investing millions in remodeling and building new facilities all over America. 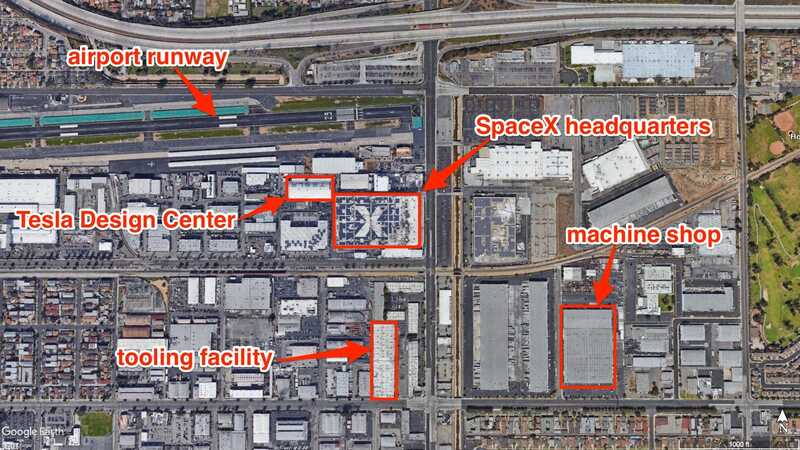 Here are the most important locations Musk and his army of SpaceX employees do their work to reach for the stars. This story has been updated. It was originally published at 10 a.m. EDT on April 1, 2018. 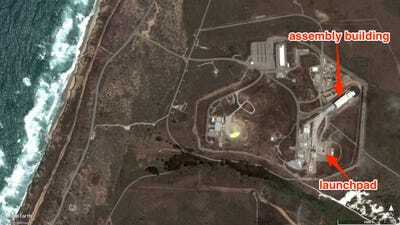 Google Earth; Business InsiderEach red dot represents a SpaceX site. SpaceX started out in California in 2002, and soon began test launches in the Marshall Islands. Since moving launches to the US, however, it has since maintained a nearly exclusive American foothold. 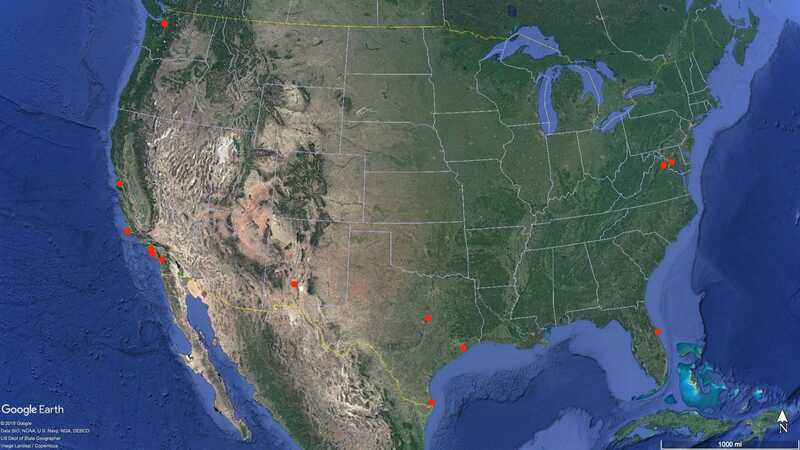 Today SpaceX has footholds in California, Florida, New Mexico, Texas, Virginia, Washington, and Washington DC. These locations host offices, launchpads, factories, and test facilities. 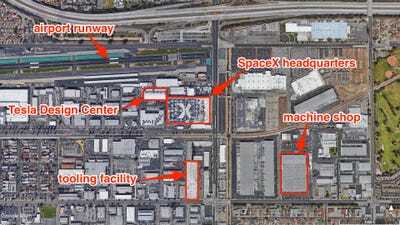 SpaceX has an expansive campus just south of the Hawthorne Municipal Airport and Century Freeway. The headquarters building – an old Boeing facility – is topped with solar panels that form an “X” in negative space. Next door is a building owned by Tesla (Musk’s car company) and nearby are tooling and machining warehouses, where SpaceX fabricates rocket engines and other parts for Falcon 9, Falcon Heavy, and soon the Mars-capable Big Falcon Rocket. Inside SpaceX’s headquarters, a scorch-marked Dragon space capsule hangs outside the mission control room. Shortly after Musk founded SpaceX, he scouted for a location to test-fire noisy rocket engines and launch prototype spacecraft. 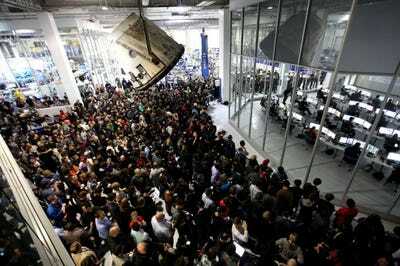 He ultimately took over the mothballed Beal Aerospace facility in McGregor, Texas. The site was built by banking billionaire (and high-stakes gambler) Andrew Beal, already had rocket-engine-testing stands, and was remote enough to not bother too many locals, but close enough to habitation to support an engineering workforce. Rocket parts built in California and elsewhere are put through the wringer in McGregor to make sure they will stand up to the punishing forces of launch. 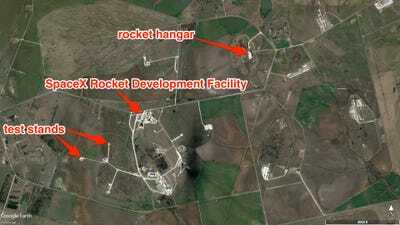 Used rockets are also refurbished and tested at McGregor. SpaceXA Merlin rocket engine in a testing bay at SpaceX’s development facility in McGregor, Texas. When test launches of rockets go awry, there’s plenty of empty space for fiery debris to rain down from the sky without hitting anyone. 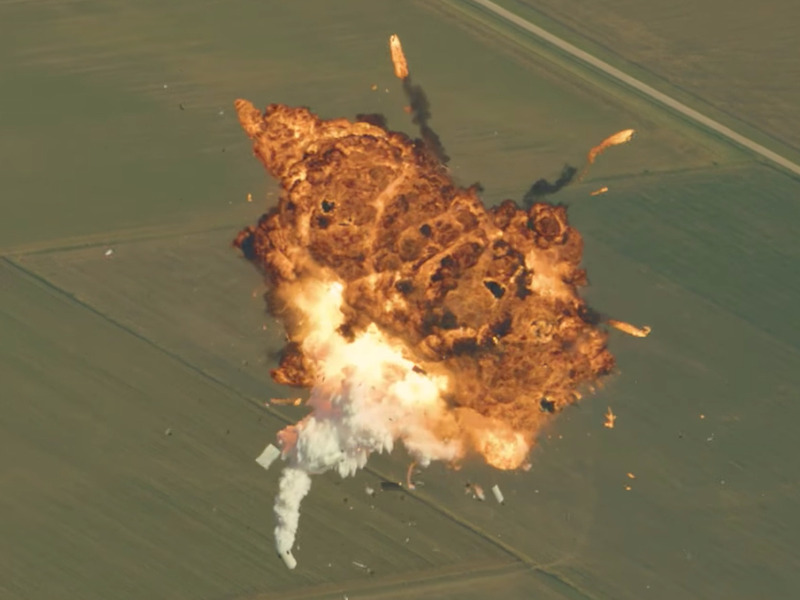 SpaceX/YouTubeA SpaceX Grasshopper rocket explodes in mid-air in August 2014 after an engine sensor failure. 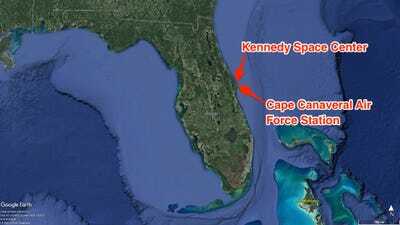 SpaceX also has several facilities at Kennedy Space Center and Cape Canaveral Air Force Station in Florida. SpaceX’s go-to launchpad is SLC-40. Rockets are horizontally assembled in a building just south of the launchpad, rolled out to the stand, and slowly tilted vertical. The company is aiming to pull off 30 launches this year, most of them Falcon 9 rockets, which should handily break records for the pace of commercial missions by a single company. SpaceX said in 2017 that it had 70 launches on the books worth about $US10 billion in business. However, the launch pace took a hit in 2016 when a faulty Falcon 9 oxygen tank design caused the rocket explode. 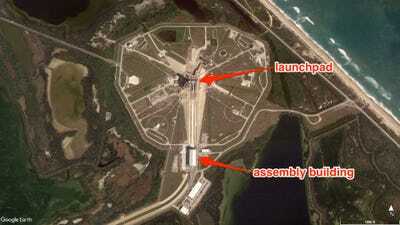 Repairing damage to the launchpad and bringing it back into service took about a year. 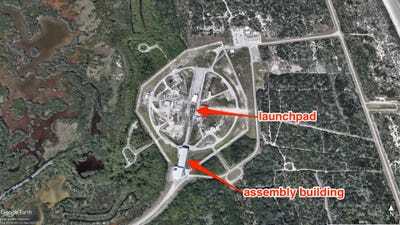 Famous for launching Apollo and space shuttle astronauts, SpaceX in 2014 signed a 20-year lease with NASA for rights to the pad. SpaceX plans to launch most of its fully upgraded Falcon 9 rockets from the site. Musk’s company also recently launched the three-booster Falcon Heavy rocket from LC-39A, sending a Tesla car toward Mars. 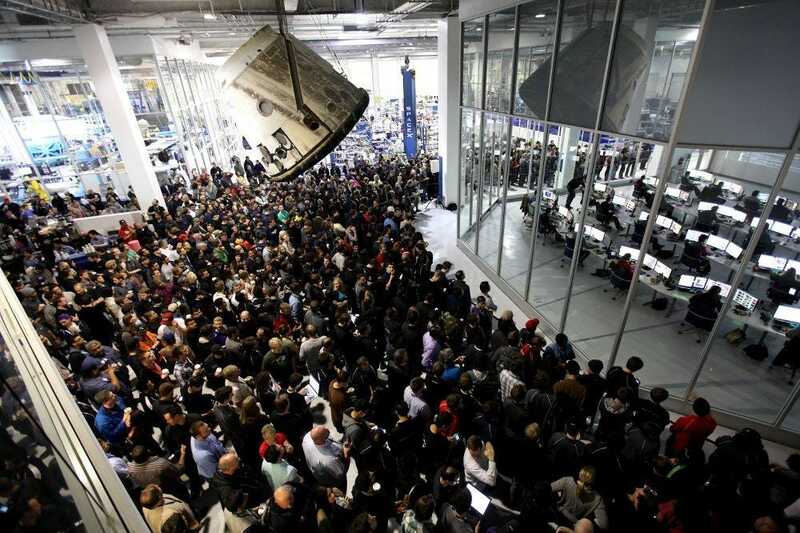 SpaceX may soon use the site to launch two paying customers around the moon. 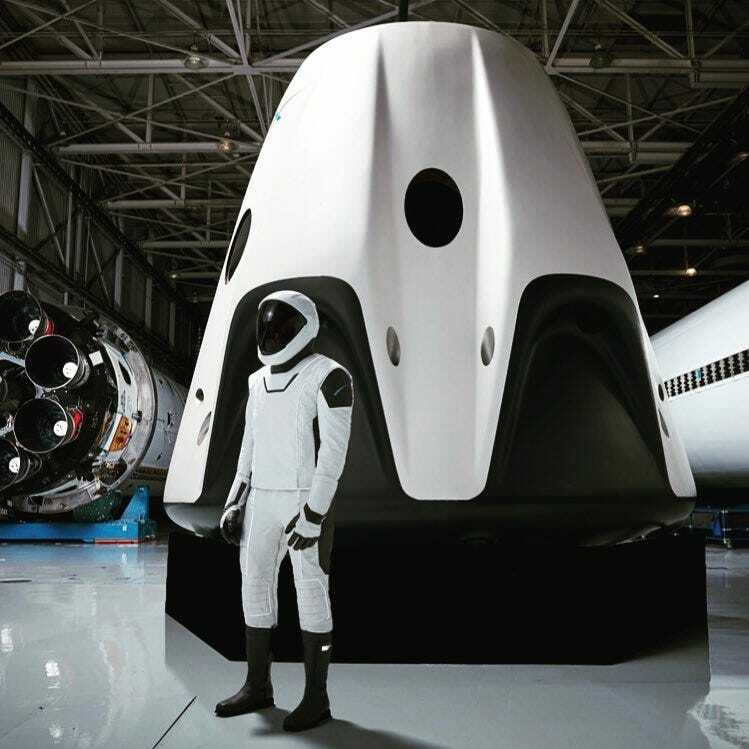 Elon Musk/SpaceX; InstagramSpaceX’s astronaut spacesuit next to the Crew Dragon capsule. SpaceX is increasingly competing with companies like United Launch Alliance for launches of military payloads, including top-secret spy satellites. To keep up with the pace of these missions — in addition to all the spacecraft it lifts off from Florida — SpaceX leans on the US Air Force’s launch site in Lompoc, California. 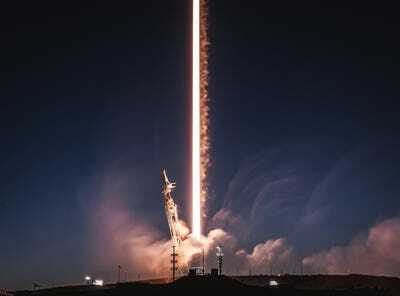 SpaceX/Flickr (public domain)A Falcon 9 rocket launches the Paz mission toward space on February 22, 2018. In 2015, Musk spoke about an eyebrow-raising plan to surround Earth in thousands of satellites to bring high-speed broadband internet to every one on the planet. The project is called Starlink, and Musk has since built a facility in Redmond, Washington, to build and test satellites. The plan is to build and launch roughly 12,000 low-Earth-orbit satellites – more than twice the number of spacecraft launched by humanity since the dawn of the Space Race. 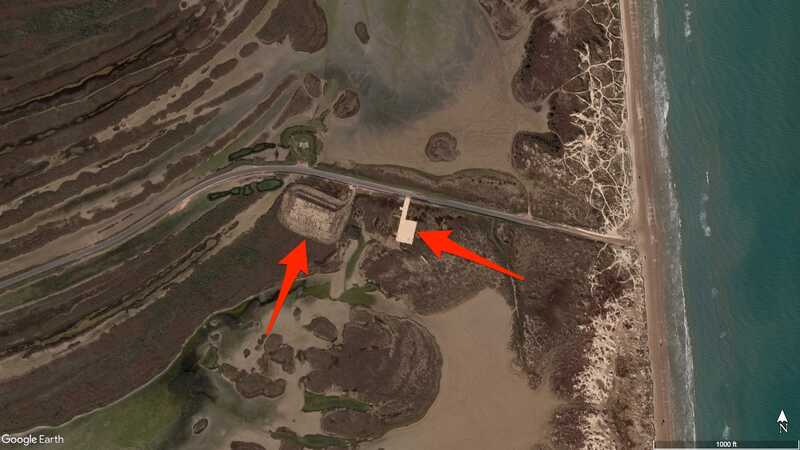 The plan made a significant move forward in late February 2018 with the launch of two prototype satellites. 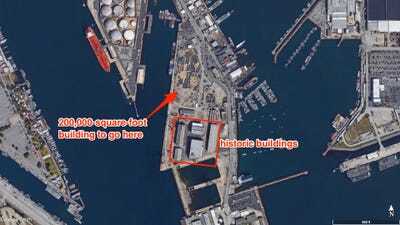 Google Earth; Business InsiderSpaceX plans to build a 200,000-square-foot Mars spaceship factory in the Port of Los Angeles. Ultimately, Musk wants to colonize Mars with a giant reusable spacecraft called the Big Falcon Rocket. 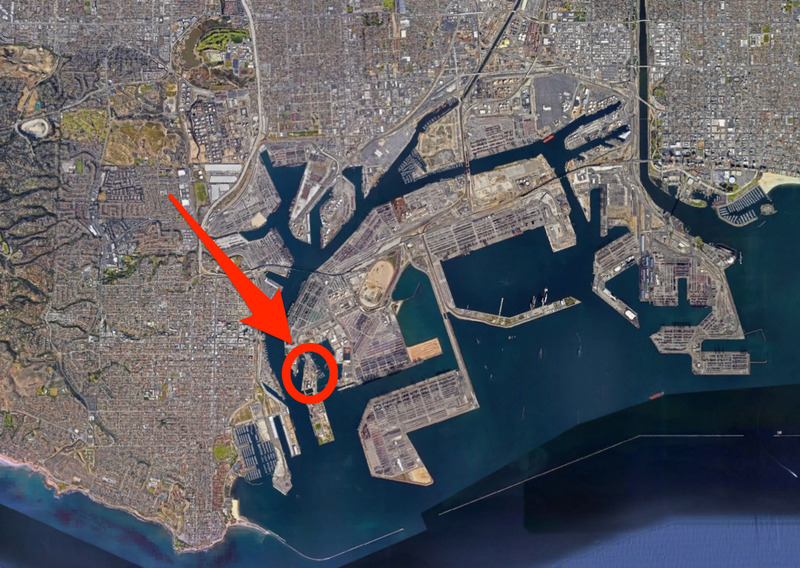 But with little space in Hawthorne left to build a 348-foot-tall launcher – taller than the Statue of Liberty – SpaceX is looking to lease an 18-acre site in the Port of Los Angeles called Berth 240. The Port is ready to give SpaceX the lease. 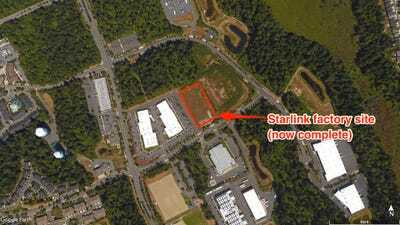 Pending final approval by the city, construction on a giant Mars rocket factory will soon begin. It’s located right on a water channel to make it easier to transport the largest US spacecraft ever constructed. 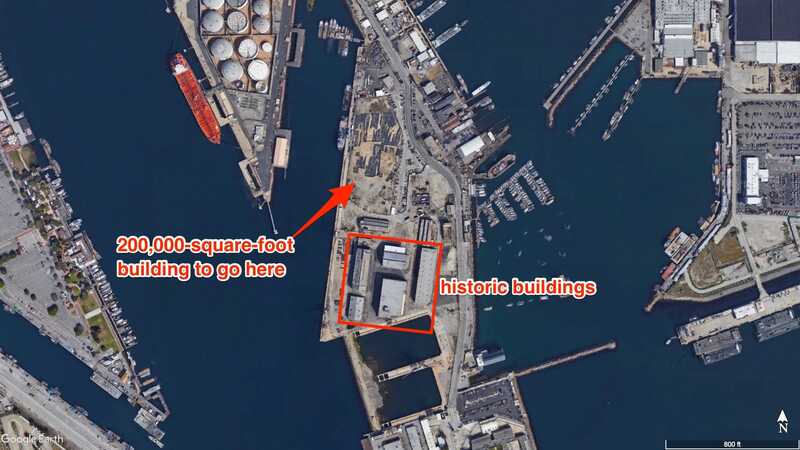 SpaceX is already moving equipment into Berth 204, as Teslarati photojournalist Pauline Acalin discovered on April 1 – when she photographed half of a recovered Falcon 9 rocket fairing sitting on the site. 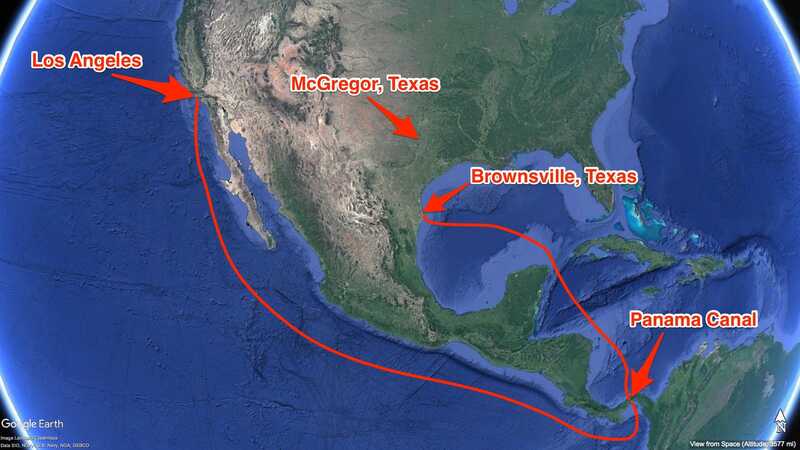 The destination for the first BFRs will likely be the very southern tip of Texas, though some testing may occur at the McGregor site. How the enormous rocket parts will get about 400 miles inland, SpaceX hasn’t said. 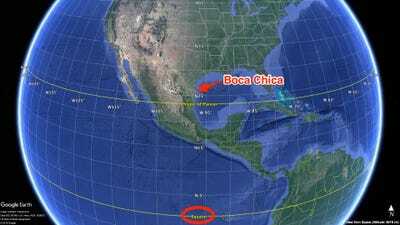 SpaceX is hoping to turn the small village of Boca Chica into a commercial space port for BFR and perhaps other launches. Musk hopes to launch the first uncrewed mission to Mars in 2022, and the first crewed mission in 2024. The extremely southern US site will give SpaceX launches a significant boost: The closer to the equator a mission is, the faster Earth’s rotation is, and the less fuel a rocket has to burn to reach orbit. SpaceX also wants to to turn its BFR system into a high-speed Earth transportation system. But only time will tell if Musk’s vision for SpaceX pans out the way he hopes it to. Did we miss a SpaceX facility? Send us an email.